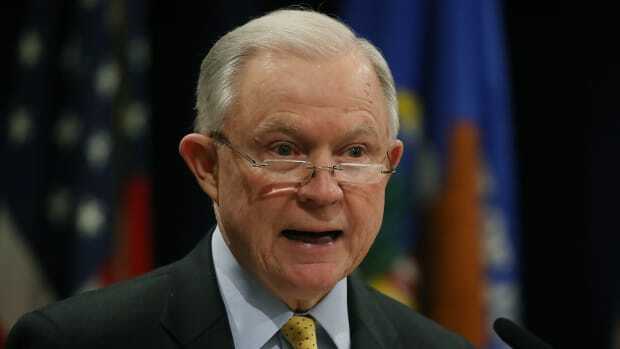 U.S. Attorney General Jeff Sessions speaks at the Heritage Foundation&apos;s Legal Strategy Forum on October 26th, 2017, in Washington, D.C.
A record 64 percent of Americans believe that marijuana should be legal for recreational consumption, according to a recent Gallup national poll. That figure marks the highest point since the group started polling on the topic back in 1969. This shouldn&apos;t come as much of a surprise: With the drug legal in 29 states and the District of Columbia and legislative pushes gaining momentum on state ballots, it seems recreational marijuana legalization is an inevitability. But the Gallup poll stands out for one simple reason: For the first time in history, a slim majority of Republicans are now in favor of legalization. While Democrats have historically supported the end of marijuana prohibition in the last decade, doubling from 26 percent in 2004 to 72 percent in 2017, support among Republicans stands at 51 percent as of this year, up 9 percentage points over 2016&apos;s polling data. It appears even the more conservative segments of the American polity are finally disabusing themselves of the idea that marijuana will leave the country in ruins. As with most social issues, demographics are destiny, and data published by the Pew Research Center in 2016 confirms that young Americans have fueled the accelerated shift in national attitudes around marijuana. But attitudes toward the drug haven&apos;t remained static among older generations, with a majority of Gen Xers (57 percent) and Baby Boomers (56 percent) in support of legalization efforts, tremendous increases over their positions at the beginning of the 1990s. The GOP, Pew observed at the time, remained "internally divided" over legalization as of 2016, with conservatives driving the push for prohibition despite growing empirical evidence regarding its actual impact (or lack thereof) on public health. For the first time in history, a slim majority of Republicans are now in favor of legalization. None of this evidence matters to Attorney General Jeff Sessions, who continues to speak out in favor of marijuana prohibition. 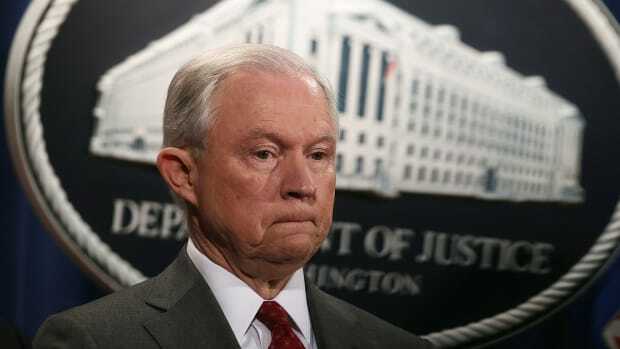 In May, he personally requested congressional leaders undo federal-level medical marijuana statutes passed in 2014, citing a "historic drug epidemic and potentially long-term uptick in violent crime," both of which A) wouldn&apos;t be related to marijuana and B) don&apos;t exist. In August, the former Alabama senator warned the governors of four pro-pot states that the salutary neglect they enjoyed with the Department of Justice was in jeopardy over "repeated breakdowns in security, distribution and the controlled use" of the drug, according to the Los Angeles Times. As recently as this past September, he insisted that the federal ban on the drug would "remain in effect" for the foreseeable future. 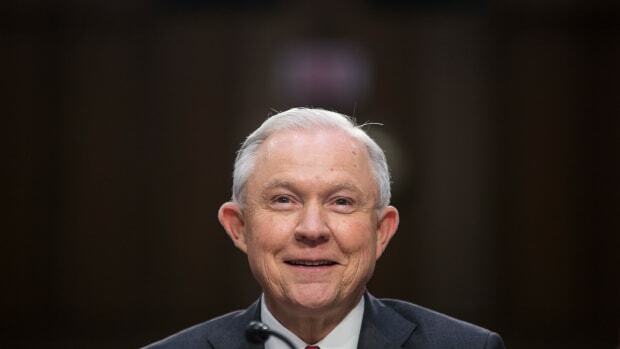 "I&apos;ve never felt that we should legalize marijuana," Sessions said in a September press conference, per Reuters. "It doesn&apos;t strike me that the country would be better if it&apos;s being sold at every street corner." He&apos;s not wrong: Research on the marijuana legalization experiments reveals that ending prohibition is far from the end of the world. In Colorado, legalization didn&apos;t suddenly turn high school students into lecherous, drug-addled zombies; studies have even shown that closing neighborhood dispensaries can lead to an uptick in local crime. Continued prohibition hasn&apos;t just deprived municipalities of much-needed tax revenue to help bolster public works like, say, drug rehab facilities, but also of a potential weapon against the actual drug epidemic that Sessions is worried about: According to 2014 research in the Journal of the American Medical Association, states that legalized medical marijuana subsequently experienced a significant drop in opioid overdoses (24.8 percent), a dip that resulted in 1,729 fewer deaths in 2010 alone. Plus, marijuana is far less addictive than the over-prescribed prescription drugs that the Trump administration doesn&apos;t actually seem keen on tackling. 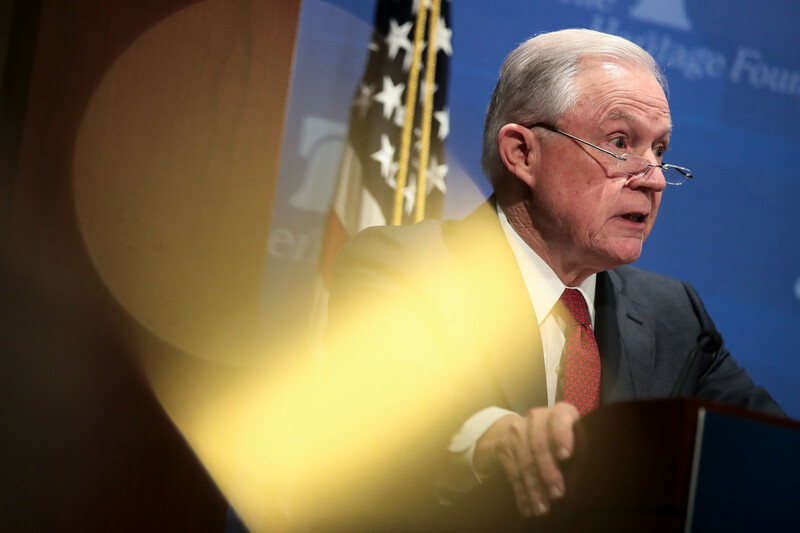 Sessions&apos; crusade against marijuana doesn&apos;t just put him at odds with both the American people and the Republican Party, but also law enforcement officials whose first-hand experience with the drug best captures its actual effects on civil society. While the Department of Justice&apos;s 2017 National Drug Threat Assessment, published earlier this month, found that marijuana production and use has increased in recent years, the greatest threat posed by the drug doesn&apos;t stem from abuse and overdose (the former of which have only declined in the last decade, per NDTA data)—it&apos;s violence from the transnational Mexican cartels that control supply and distribution in cities like Chicago. And that&apos;s a problem easily solved, it seems, by legalization. Even a significant portion of local law enforcement agencies surveyed by the 2017 NDTA rank marijuana at the bottom of their lists of major drug threats. 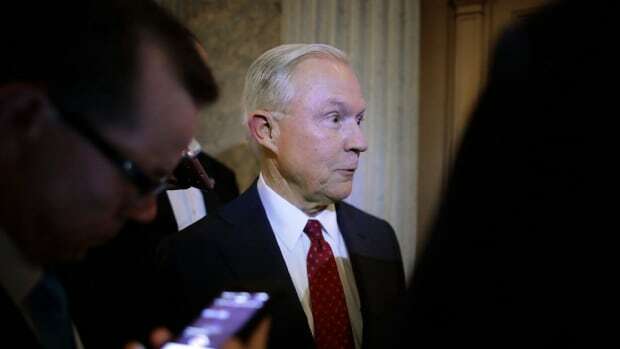 Now, Sessions stands ready to open the floodgates for a national federal crackdown on marijuana production and distribution: While the Rohrabacher-Farr amendment mandates that the Department of Justice cease funding the investigation and prosecution of medical marijuana users operating in states where the drug is legal, the Los Angeles Times notes that the rule is set to expire if not renewed by Congress at the end of this fiscal year. Despite hiccups during the budget process earlier this year, the amendment narrowly squeaked by as part of a continuing resolution to keep the government funded through December. Should Rohrabacher-Farr somehow fail to pass by Christmas, it appears Sessions may end up playing the role of Grinch to the green pastures of marijuana-friendly states.